Marvelous Multiagers! : Can You Say Peace? I mentioned on Wednesday that we had celebrated International Peace Day by reading Can You Say Peace? Yesterday, after five long days of practicing the play at least three times a day (if not more), we finally went to the other classrooms in the building to perform! I was so proud of my students. No one blanked and forgot all of their lines, generally they were not talking to each other while others were saying their parts, and they were very eager to help when people forgot a word here or there. I printed out a flag of each student's country so that they could color it. Then we glued the flags to the jumbo popsicle sticks to make flags that they could hold! The countries and languages represented were: India, America, Japan, Australia (although I do not know what language this was! ), Mexico, Iran, Russia, China, France, Ghana, and Bolivia. The kids LOVED coloring their flags and seeing in "real life" (on the internet) what the flags looked like. They thought it was amazing. 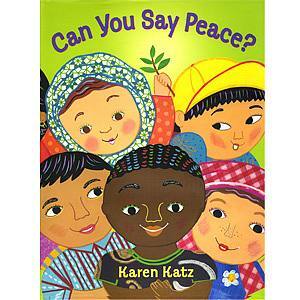 Just by coincidence, I read aloud a book to my students this week that talked about peace, too! When I'm at the library getting books for my content areas, I like to grab random books to read aloud. This time, I grabbed The Alphabet Tree by Leo Lionni, just because I like him as an author. The book is about letters who live on leaves, and one day they get blown off the leaves by a wind and they're scared. A Word Bug comes along and tells them that they'll be strong if they come together to make words, and later a caterpillar says they should make sentences! An "important" sentence that they make is something like: Peace on earth, and goodwill towards all men. It tied in nicely to our week, and by accident!! 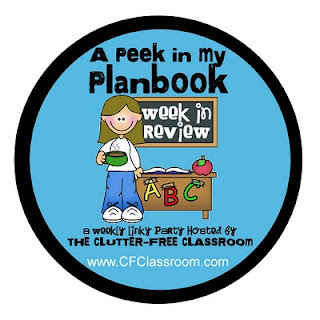 This post is linked to the Week in Review linky party hosted by Clutter-free Classroom! YAY, another blog about Peace Day - thanks for sharing. I didn't know about either of these books so I'm going to check them out. My two favorite Peace-theme books are Shhh! by Jeanne Willis and Peace Week in Mrs. Fox's Class by Eileen Spinelli. Our Red Ribbon/Character Week theme is going to be Helping Our Community Piece by Peace so I've been looking for more books for that! Thanks. I need to check out those books too! Looks like your kiddos are having a fun time with it! Thanks for sharing. Come take a peek at my week. The Peace Book by Todd Parr is awesome, too, and great for young children to understand. We always do it around MLK's birthday. Thanks for more books about peace. Thanks for writing about International Peace Day. I haven't done any special activities for it before, but I'll definitely mark it down on my calendar for next year!